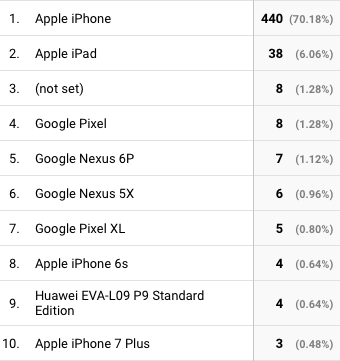 Traffic analysis of the most upvoted product of the day on Product Hunt. We went from never launching a physical product to clearing $1K in revenue in a couple days through our Carrd and Shopify-powered site. I launched Sick Day Box with my amazing girlfriend on Product Hunt on October 10 and quickly shot to #1 for the day. Here’s a look at what the numbers actually showed. That’s amazing, you’re doing the adult thing way better than most of us. Quick Note: It turns out you can wire together a “hardware” Minimum Viable Product almost as easy as a software project these days. From Packlane to Moo, there’s a massive underpinning of startups allowing the same type of easy access to physical product creation that was previously unattainable outside the digital landscape. Ramp up time is lightning fast for physical product development with the right tools. Product Hunt is an amazing community and the last thing I wanted to do was get banned for “growth hacking” my product. There are plenty of services that will offer upvotes, engagement or even post your product for you, but I don’t recomend using them. Why would you? I don’t have a huge network, a relatively small follower count and I posted it myself with little fanfare and it still was able to successfully climb the charts. It is certainly is possible to do it without emailing Product Hunt high-achievers to have them post your product (more on that later). I recommend following the excellent guide here. I didn’t do any other promotion besides this post, so we’re looking at just a pure Product Hunt launch and what came out of it. The date range of data is 10/9/2017 through 10/18/2017. 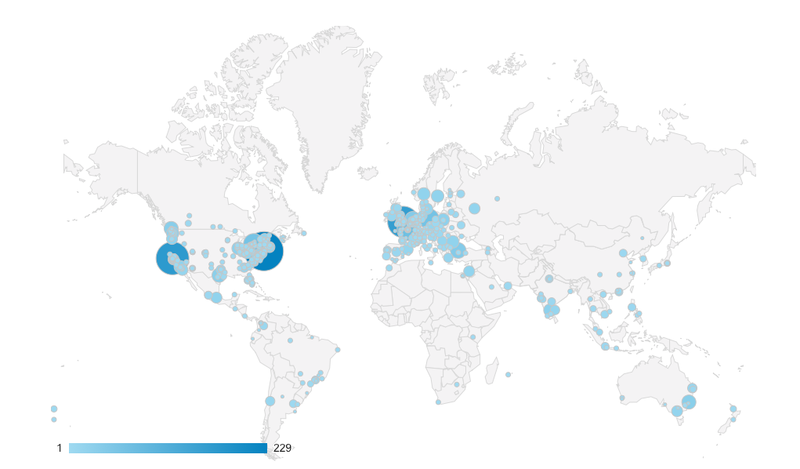 It’s pretty crazy seeing hundreds of users on your site in realtime. It’s even worse when nobody is buying! Based on the feedback I was getting in the comment section, I was tweaking the language on the site as the launch was happening. The conversion rate actually started increasing as the day went on, which is always a good sign. We’re swapping the date range to just the day of the launch, 10/9, now. This is where it really gets interesting. Can you guess where the majority of traffic came from? 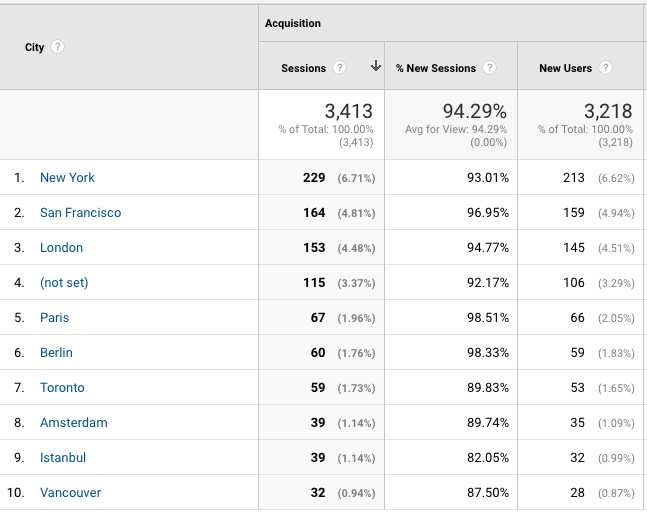 Only 41% of traffic to the site came from the US on the day of the Product Hunt launch! Map of traffic to the site on day of PH launch. Better coverage than Verizon! I was surprised to see the wide variance in geo’s from the launch, but mainly because we only shipped to the US and we said that in the description of the post. So 59% of the traffic we received was unable to buy our product. Ouch. Here’s a list of the top cities order by sessions. Looks like I’m aging along with the rest of Product Hunt! 😅 Ages 25–34 representing strongly. 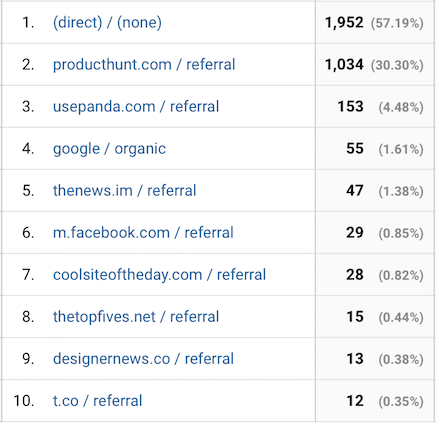 I was actually suprised not to see more aggregator traffic from random sources. 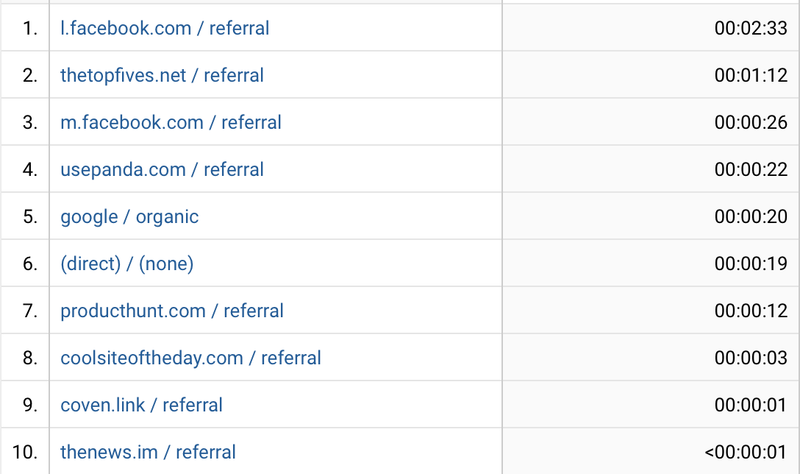 Referral sources via Facebook is great traffic. When people share and personally endorse something, you’re in good shape. Whew, that was a lot of info. Still with me? Then lets jump out of Google Analytics and get into some more casual numbers.